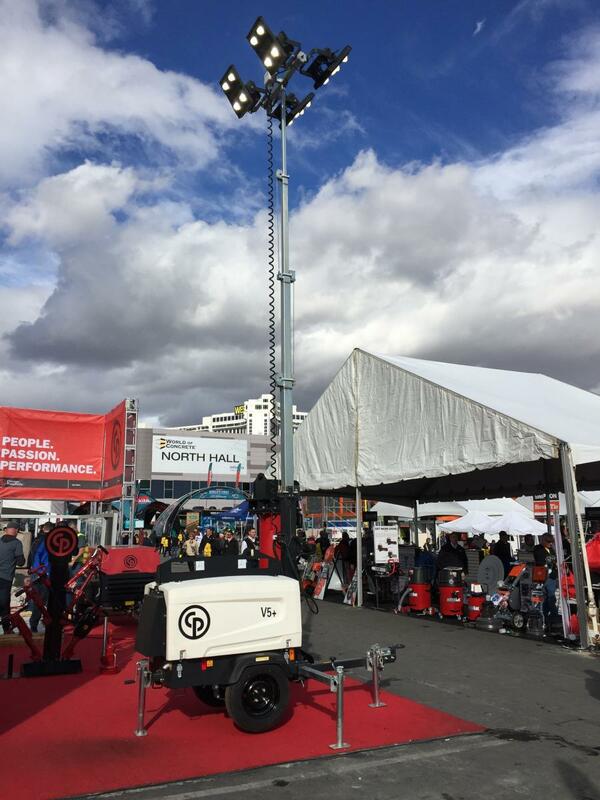 LED lights travel farther than traditional light towers. Over the last five years, Waters Construction Co. has made the shift from working during the daylight hours to turn its attention to overnight jobs. Specializing in bridge repair, the nature of their work has dictated the direction. Shutting down an entire bridge during the daylight hours takes a great deal of coordination for a city and often causes congestion and safety problems. Overnight work minimizes disruptions for local communities and businesses, while less traffic makes it safer for workers to go about their jobs. Waters, a heavy civil contractor, was awarded the I-84 rehabilitation project in Hartford, Conn., at a cost of more than $8 million. The project began in May and is scheduled to be completed in April of 2020. According to the Connecticut Department of Transportation (DOT), the existing bridges continue to deteriorate and, since 2004, the DOT has spent nearly $60 million on repairs. This project aims at ending the deterioration. Waters is tackling the structural steel repairs, concrete repairs, bridge deck, joint repairs and drainage improvements of two bridge structures. Once concrete repairs to the deck surface are made, the contractor will run an asphalt mill and overlay on the bridge deck before putting the final plug joint material in over the piers. It is challenging work, especially at night. Waters has a close relationship with Able Tool & Equipment in South Windsor, Conn., who is its preferred supplier for small tools and equipment. The contractor relies on portable light towers to illuminate the night, and until recently, had never used an LED tower. With an increasing presence in the market, Able Tool wanted the Waters crew to test one out on I-84. Equipped with eight 15-year-old and four brand new metal halide light towers in its lineup, Waters' initial plan was using three of the units on the I-84 project. That is, until Able Tool called Archer. In three months they put more than 200 hours on the CPLT V5+ and will have the machine for the remainder of the project. Compared to metal halides, LEDs deliver multiple benefits — fuel savings, less maintenance and brighter lighting to name a few. Waters was able to test the two different models side by side to see them in action. 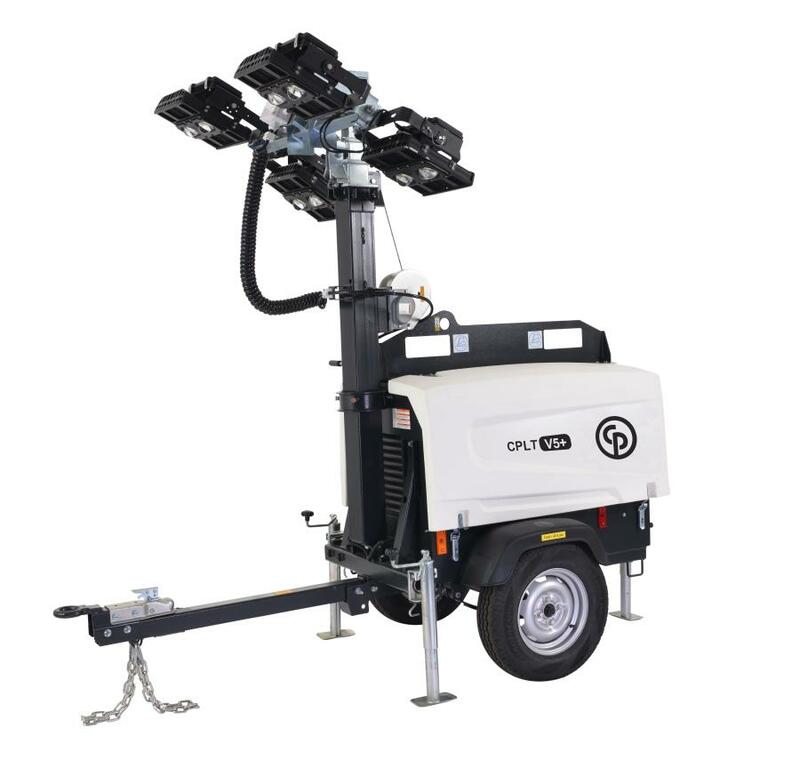 Fuel: Consider the savings in fuel costs alone when comparing the CPLT V5+ versus a similar machine with CP's CPLT V4 metal halide. Both products feature 28-gal. tanks, but the V5+ can run 100 hours longer on a single tank than the V4. Maintenance: Archer and his team have not had to perform any maintenance in large part because LED elements last longer and the machine can be turned on and off similarly to the lights in a house. On the other side, conventional metal halide bulbs require time to turn on, in addition to a cool down period before shutting off. Incorrect starting or stopping can cause the ballast and the ballast's can to burn out or fail. Lighting: Lighting is improved with LEDs for multiple reasons. 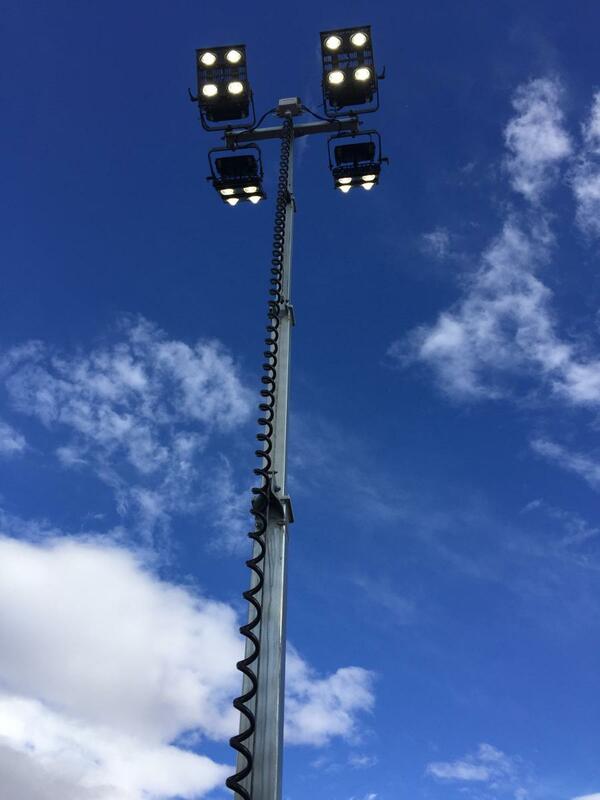 For starters, LED lights travel farther than traditional light towers. Compare the CP V5+ lighting that covers up to 5,900 sq. yds. versus the 4,700 sq. yds. covered by the V4. Plus, LEDs last much longer. With an expected lifespan of 30,000 hours, the LEDs on the V5+ have staying power. Their traditional counterparts run hotter, leading to more frequent burnouts. Light bulbs are not overly costly to replenish, but over time all the replacements add up and can equate to lost time on a job site. Metal halides have their place on the job site for companies specializing in shorter-duration projects or dabbling in the occasional night work. But, for larger projects, LEDs save money. Contractors all over the United States, like Waters, are ramping up nightly construction efforts. For Waters, the question they are asking as a company is whether they should start phasing out their older metal halides and start investing in LEDs to join its lineup. After testing the CP light tower, LEDs are currently under consideration for the contractor. While they have increased night projects, durations of jobs have been inconsistent. Archer said some years they have night crews out for seven months or so, while other years are much less. They would like to see the work be steadier before making a decision. For now, Archer and his crew will reap the benefits of using a test model to finish up I-84, for nothing more than a tank of gas.